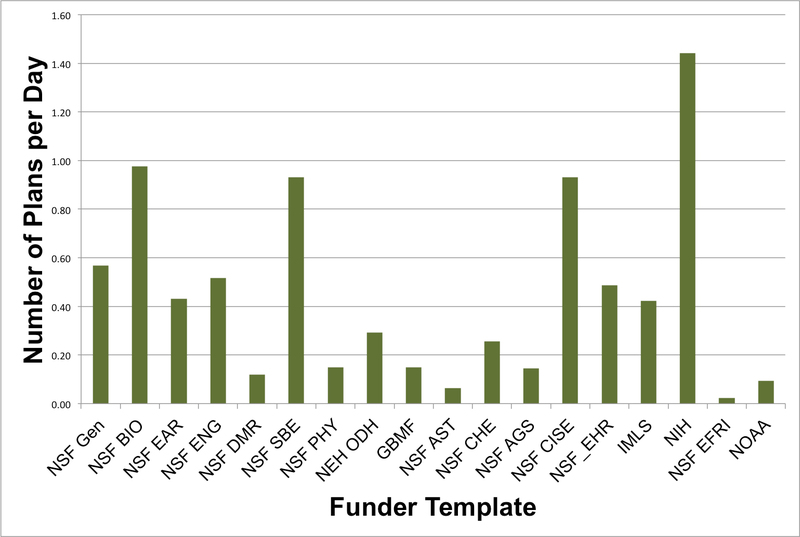 The most widely-used funder template on DMPTool through 2012 was NSF – BIO. See our previous post on recent NSF – BIO requirement updates. This entry was posted in General and tagged report by Vida Djaghouri. Bookmark the permalink.